Teams Cee Lo and Blake have been rocking The Voice stage. 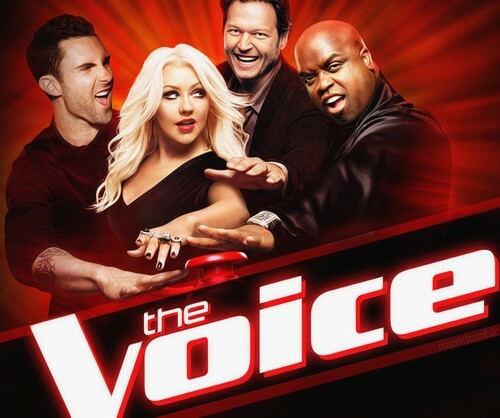 While Christina Aguilera and Adam Levine have been sitting pretty, Cee Lo Green and Blake Shelton both experience the tension and excitement to know whether one's acts or the other will be named as this season's The Voice. The Semifinals had been very stressful for the remaining four contestants: Trevin Hunte, Cassadee Pope, Nicholas David and Terry McDermott. All of them gather different kind of followers, but they are very good just the same. And after the votes were in, one of the four was eliminated due to the lowest number of votes. A new twist has been added to the voting mechanics. Whenever an artist's studio performance of his or her song on iTunes belong to the Top 10, his or her iTunes votes would be multiplied by 10. Only three of these contestants were able to belong in the Top 10: Cassadee Pope, Nicholas David And Terry McDermott, leaving Trevin Hunte with lesser number of votes. The Final 3 have sure-locked their way to the Grand Finals, after adding a lot more of votes from texts and phone calls. I have a feeling that Cassadee Pope will win this competition. She was after all, the only one who made it to #1 in iTunes. She has the complete package, if I might say. But of course, Nicholas and Terry are also bloddy talented, so she better watch out. If she ever make it, then Blake will be ecstatic after winning the Voice twice in a row. If ever she'd win the competition, then she would be the first ever female and caucasian winner in The Vice US history. I am crossing my finger on this lovely girl, after two of my favorites -- Melanie Martinez and Sylvia Yacoub -- were eliminated early on. The Grand Finals will be held on December 17, 2012 and the winner will be announced the day after. The performances will air on NBC at 8PM Easter time, while the Finale airs at 9PM Eastern time. Good luck to Cassadee Pope, Nicholas David and Terry McDermott and also to their coaches Cee Lo Green and Blake Shelton.